New York has a famously gritty past, especially during the Prohibition Era. For those of you who are unaware, Prohibition was a time when the US government gave in to political pressures from highly vocal, usually Christian, organizations and outlawed alcohol. As a result, the nation experienced the creation of hidden bars called speakeasies. There, people could drink alcohol smuggled into the US secretly, and enjoy the camaraderie of those who would later be looked at as members of an iconic subculture. Today, while alcohol isn’t illegal, the act of going to a speakeasy has an undefinable cultural cache. To be one of the select few to know of a bar’s existence is a little like having a secret clubhouse with your friends, it’s exclusive, fun, and a little rebellious. New York City hosts a number of speakeasies in and out of Manhattan, so we’ll be focusing on what the East Village has to offer. This neighborhood used to be a hotspot for organized crime during Prohibition, and thus had plenty of speakeasies. In recent history, people have even stumbled across escape tunnels and unopened safes in old speakeasy locations. With such a rich history, GREY thought we should check out their modern-day speakeasy game. With everything from a secret entrance to a fun atmosphere, Please Don’t Tell has become a hidden gem of the East Village’s nightlife. You enter the bar through a payphone booth inside Crif’s Hot Dogs, something that will make even your coolest friend giddy to try. The bar itself is subterranean and has limited space for patrons. It’s best to call ahead of time using the number on their website or you might end up waiting for a while. The vintage stylings and joyous atmosphere make the dining experience both fun and fantastical. Food options are offered on a short menu containing hot dogs, cheeseburgers, and other fried foods your drunk self will love. The cocktails are unique and exciting, especially PDT’s version of an old-fashioned made from bacon-infused bourbon and maple syrup. There are beer and wine offerings as well, proving that PDT has a little something for everyone. Enter the phone booth, dial the number you’re directed to on the red phone, follow additional instructions from the waitstaff. Believed by many to be an ideal romantic spot, Lovers of Today is hidden behind a gate marked 132 ½. The bar has the kind of warm, secluded, and secretive atmosphere that will make you want to fall in love. Going here with your significant other gives you a secret spot to share with each other, all while delighting in the mouth-watering cocktails being offered. With fan favorites like Waterloo Sunset and Satellite of Love, it will seem like romance is inevitable. All the liquor is made in-house and a great deal of effort has obviously gone into making sure customers have a truly enjoyable experience. The booths are cushioned and cozy and the alcoves are lowly lit, the whole place will make you feel like chemistry is in the air. We recommend going during happy hour (5:00 – 8:00 PM) because drinks are ½ price! Walk through the gate marked 132 ½ and go down the stairs. This speakeasy opened on New Year’s Eve in 2006/7 and has since become known for its truly exceptional bartenders. The bar’s name is derived from pre-Prohibition anti-alcohol propaganda. By owning what was once a damning slogan, this bar can look back on the history of its profession with humor and pride. The bar’s owners, David Kaplan and Ravi DeRossi, made a conscious decision to give their mixologists all the creative freedom they wanted. This has led to the creation and revival of some of the best drinks you’ll ever taste. It’s also made the menu infamous for being incredibly extensive and changeable. At one point in the bar’s history, there were over 100 cocktails to choose from! Given this fact, newcomers could probably benefit from asking the bartender for their recommendations. Jim Meehan, the owner of Please Don’t Tell, once compared the bartenders of Death and Co. with an All-Star Yankees team. They agreed to work there under the promise of creative freedom, and have since established a reputation for some of the best mixology practices out there. While bartenders have come and gone over the years, the level of quality has never slipped. Also, just a friendly heads up, Death and Co. doesn’t take reservations and operates on a first-come-first-serve basis. If you’re planning on hitting it up, make sure to plan ahead of time. 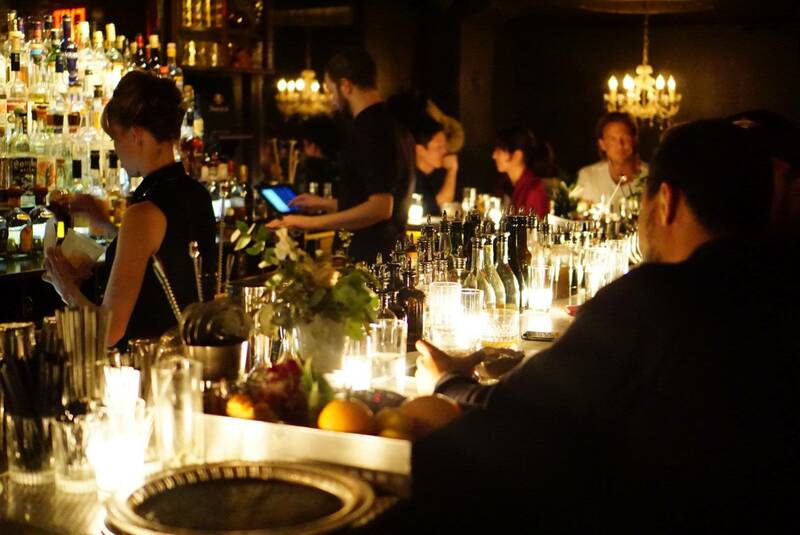 What did you think of these speakeasies? Did we miss any? Let us know in the comments below or on social media!